Learn about triangular relations through hands on kit. Explore triangular relations by studying right triangles and by building the Spiral of Theodorus. These hands-on activities aid in the conceptualization of abstract mathematical ideas. 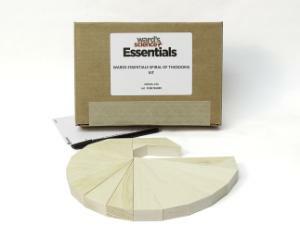 Kit contains 18 wooden triangles, as well as labels, pen and instruction guide.